It is easy for the 95,000 prisoners across the UK to feel lonely and forgotten. They are locked away from society, some having little interaction with other prisoners, and many having very little contact with family or friends outside the prison walls. We are reminded in Hebrews to remember those who are in prison. But for many of us in the church, the prospect of visiting a prison can be daunting and overwhelming, and yet we still want to obey the apostle’s command to make sure that prisoners are not forgotten. One way to be involved in prison ministry, without having to visit a prison, is to write letters to those inside. Prisoners find letters from people on the outside very encouraging and a great comfort. They also like hearing about the ordinary things that we take so much for granted in the outside world. 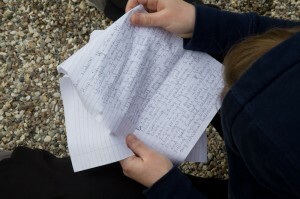 Writing to prisoners is also a wonderful opportunity for the Gospel. Writing letters can encourage those who have become Christians in prison in their faith and remind them of God’s grace and forgiveness. For those who are interested in Christianity, a letter can help them think more about the claims of Christ. However, not only can writing to prisoners be a wonderful outreach and encouragement, it also presents scope for harm, both for the prisoner, the prison, the letter-writer and Daylight as an organisation. The following guidelines are therefore intended to help you as you write to prisoners to ensure both you and the prisoner can benefit. You should never reveal any personal details in your letters to prisoners. This includes information on where you live, where you work, which church you attend, or any other information which would enable the prisoner to trace you. It should be remembered that other prisoners may see your letter as well so care should be taken as to how much detail is included. You should never include anything with your letter. As a general principle, it is best if women write to women and men write to men. The person receiving your letter has been given a prison sentence because they have seriously broken the law and in light of this, you cannot assume that everything included in their letters is true. We need to remember that we only have access to one side of the story. Letters to prisoners should refrain from passing judgment on comments where the facts cannot be verified. In the instance that a prisoner includes criticism of others, including prison staff and other prisoners, you should not comment other than to suggest they mention it to the appropriate personnel. When writing to a prisoner please remember that a prison censor regularly opens prisoners’ mail and anything in the letter which compromises prison security could lead to serious consequences, both for you and Daylight. It might be worthwhile asking someone who is experienced in writing to prisoners to have a look at your first few letters. Prisoners want to talk about everyday issues just as much as we do, so your letter should include general topics of conversation. When offering spiritual advice, ensure that it is biblically grounded and cites scripture if possible. You could encourage the prisoner in spiritual habits, such as daily reading of the Bible. If they would like Bible notes or additional resources to help them grow in their faith, you can send these via the prison chaplain. Please do not enclose these with your letter. Although our primary aim in writing to prisoners is to be a spiritual encouragement, it is useful to remember that prisoners have many practical needs too and we should seek to help with these where possible. This might include encouraging the prisoner to do more physical exercise, to make the most of educational opportunities, and to improve IT skills. If the prisoner indicates that they would like ongoing practical and/or spiritual support after they are released from prison, please ask the prisoner for permission to refer them to the leader of Daylight’s nearest local support group. 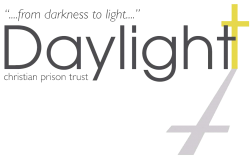 Daylight’s regional Prayer and Support Groups are trained and equipped to provide the support that many ex-offenders need to adapt to life on the outside. They would be delighted to have the opportunity to work with the prisoner so please pass on details if appropriate. These guidelines are not intended to be daunting but rather as a resource to help you as you serve God in this important ministry. If you would like to talk to a member of the Daylight team to find out how you can get involved with letter writing to prisoners, or would like to talk about anything in this document, please contact the Daylight office using the details below. Thank you for partnering with us to take the Gospel to prisoners. We trust it will be as much of a blessing to you as it is to prisoners.